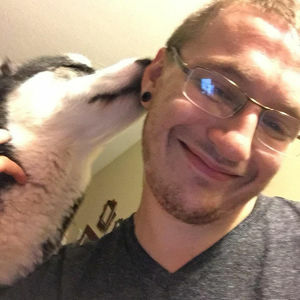 Nathan Blayze Wandtke, 21, passed from this life December 27, 2018. Born January 23, 1997 in Rochester, NY, Nathan was the son of Donald Anthony Wandtke, Jr., and Rebecca Doles Wandtke. He was employed as a dock coordinator with Android Industries. The greatest love of his life was his Siberian Huskey, Zorro, whom he adored. Nathan was a loving person with an infectious laugh and enormous personality. He will be greatly missed. Surviving are his mother, Rebecca Wandtke; father, Don Wandtke and his wife, Sherry; his brothers, Hayden Crowley, Evan Wandtke and Roman Wandtke; his stepbrothers, Tanner Sprouse and Conner Sprouse; his nephew, Aydris Crowley; maternal grandmother, Marcia Doles; paternal grandfather, Donald Anthony Wandtke, Sr., and his wife, Debbie; his aunts and uncles, Christopher Doles, Jennifer Gendron, Keith and Colleen Doles, Ron and Wendy Wandtke, and Bob and Jessica Wandtke; his cousins, Brian, Christopher, Kevin, Shawn, Holly, Ryan, Hannah, Erin, Molly, Chris, Nick, Fin, Gage, Rylin, Jacob, and Franklin; and his dear friend, Charley Owings. Nathan was preceded in death by his grandfather, George Doles; grandmother, Judy Wandtke; and uncle, Paul Gendron. The family will receive friends Thursday, January 3, 2019 from 1:00pm - 2:45pm at Robinson Funeral Home - Powdersville Road. A private graveside service will follow at Robinson Memorial Gardens. Flowers are accepted. Memorials may be made to the Greenville Humane Society, 305 Airport Road, Greenville, SC 29607. 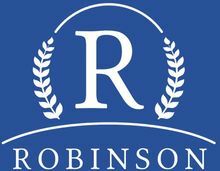 Condolences may be expressed online at www.robinsonfuneralhomes.com or in person at Robinson Funeral Home - Powdersville Road, which is assisting the family. Add your thoughts, prayers or a condolence to Nathan's guestbook. Please enhance this tribute to Nathan by adding your memories and photos. Your inquiry has been forwarded to Robinson Funeral Home & Crematory - Powdersville Road.